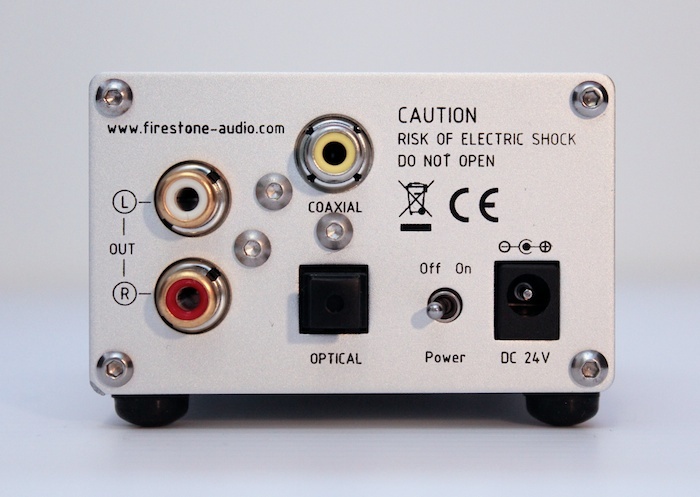 Firestone Audio are a Taiwanese company that bring a bewildering array of tiny hi-fi products to market. 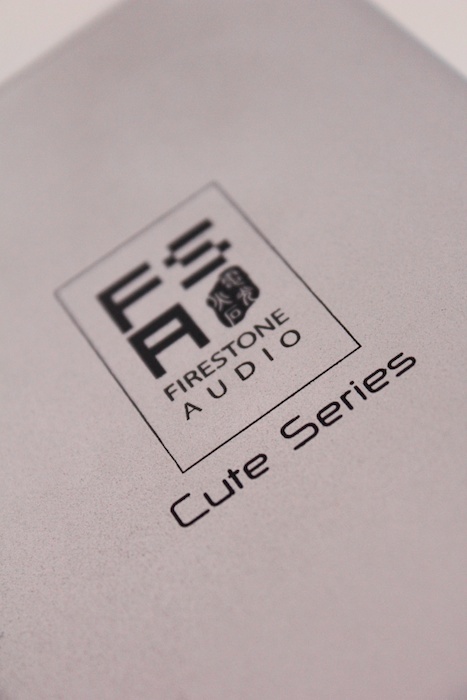 With their “Cute Series”, they often demonstrate that reducing component size doesn’t have to mean too much of a compromise in sound quality. These are not toys from the Harvey Norman end of town. 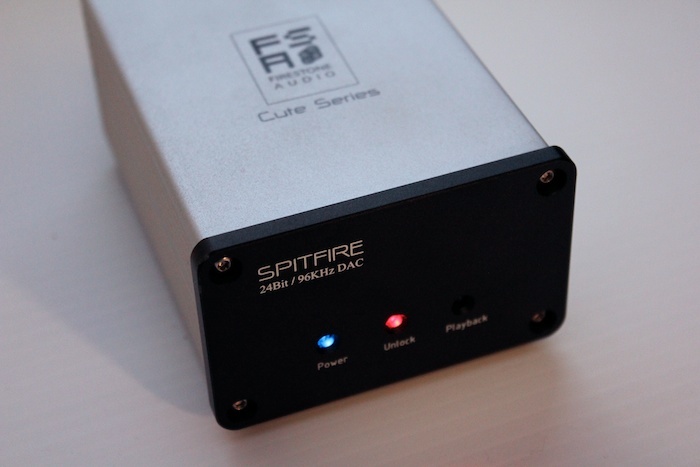 The Firestone Spitfire 24/96 DAC (AU$299) possesses the same absurdly small dimensions as other members of Firestone’s Cute Series: 10cm x 8cm x 5cm. Small enough to tuck away out of sight and sufficiently diminutive to show off for its (err) “cuteness”. Inside, chips ahoy! 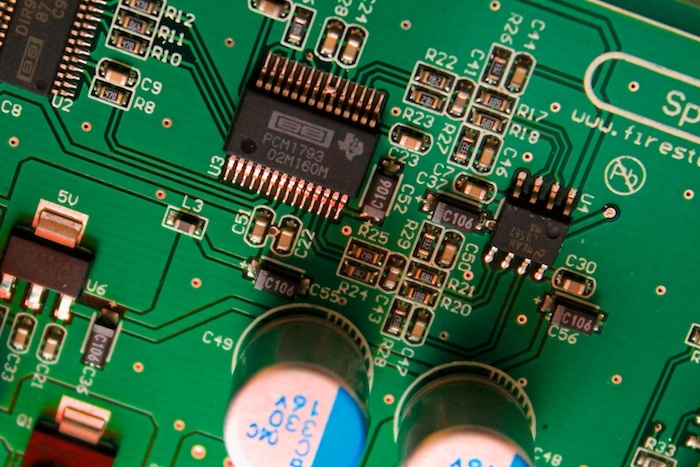 A Burr Brown DIR9001 receiver chip feeds a Burr Brown PCM1793 – a delta-sigma chip of solid pedigree enabling digital audio up to 24bit/96kHz. 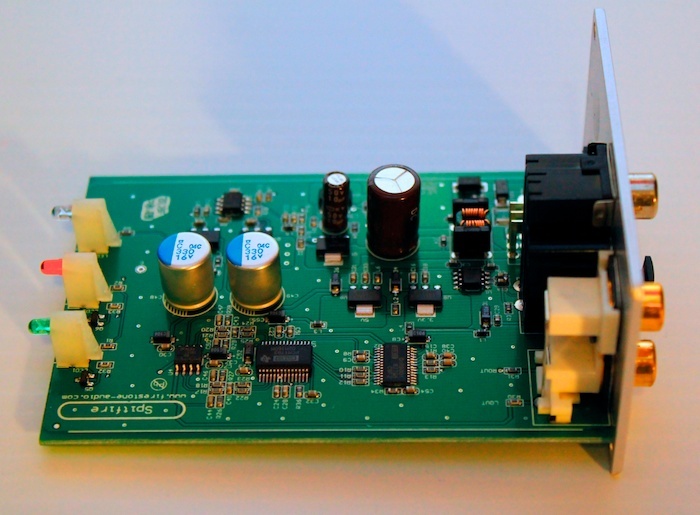 The output op-amp is an “audiophile grade” LM4562MA. 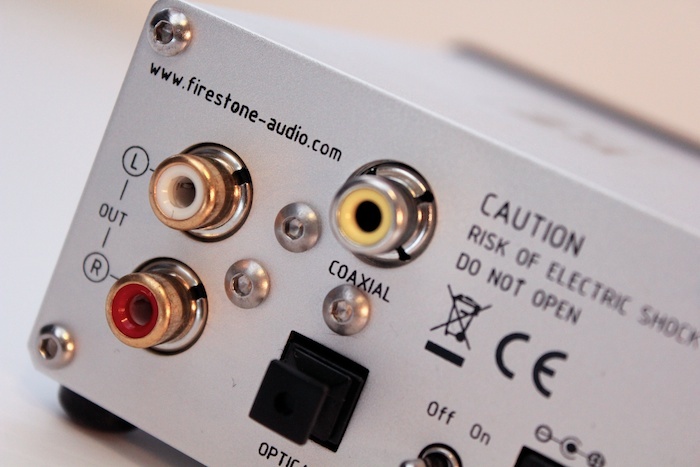 Perhaps Firestone Audio might intend this as a desktop DAC for a computer workstation or office, but its performance supersedes its manufacturer’s marketing strategy. 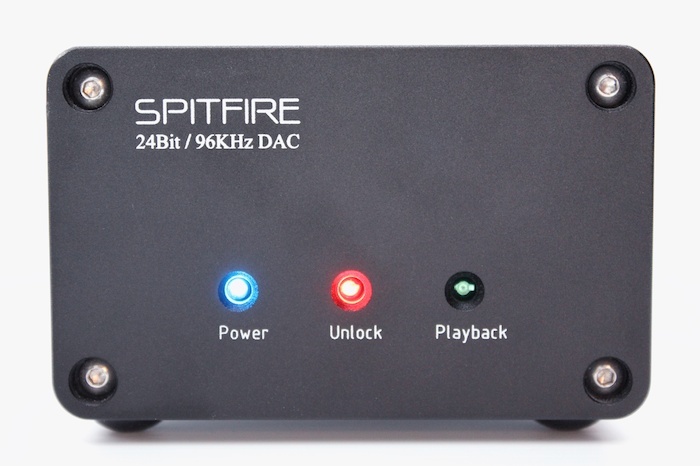 Swapping a Bel Canto DAC3 (AU$3200) out for the Spitfire caused only temporary shortness of breath: the sky did not fall in. 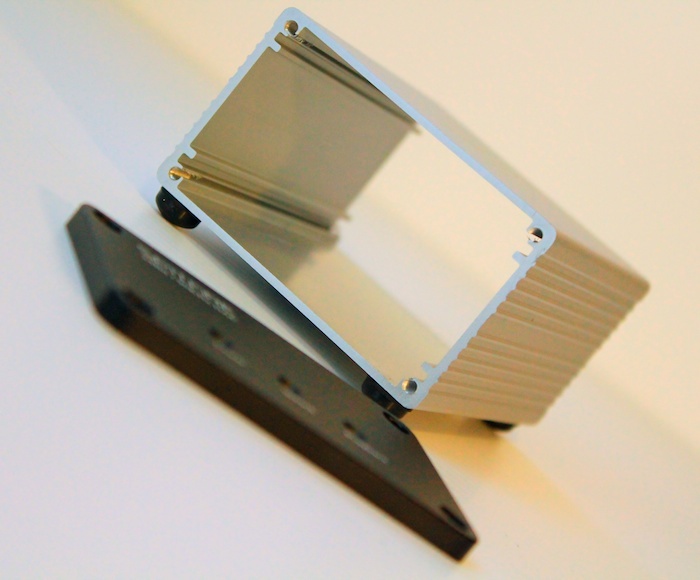 Whilst not possessing the crystalline realism of the Bel Canto, this is one of the few budget DACs that rarely puts a foot wrong. 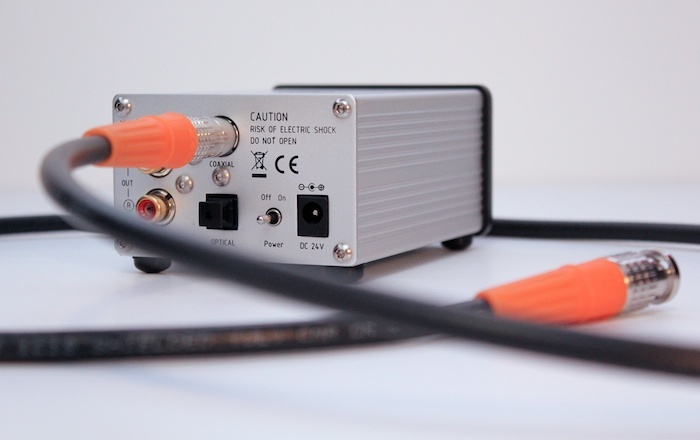 Only a light sprinkling of digititus (that metallic taste) separates the budget delta-sigma (PCM1793) from the more deluxe delta-sigman (PCM1792A). Implementations matter. Tricky’s debut album Maxinquaye is always an intense aural proposition. The Spitfire served up a confident (but never strident) and tonally accurate representation of Martina Topley Bird’s lilting vocal. 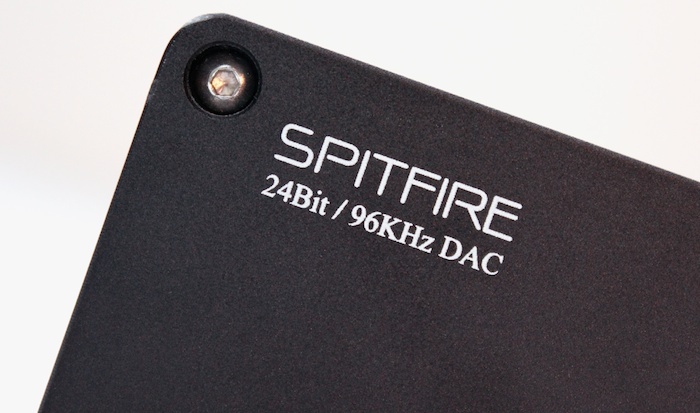 The dense beat-programming is just as engaging with the Spitfire as with the Bel Canto (with the latter pulling ahead in bass weight). 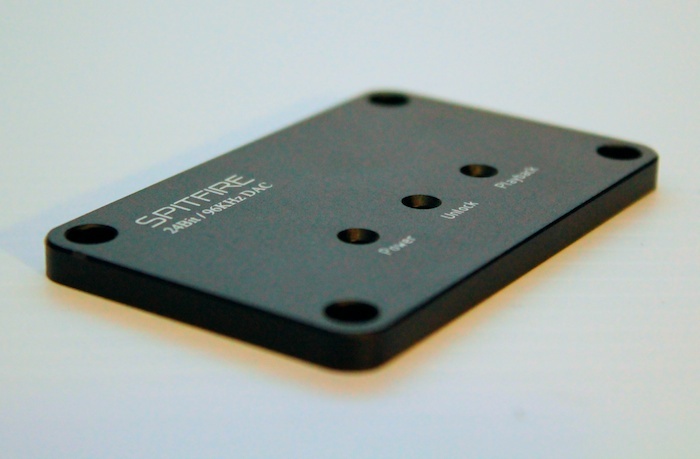 The miniscule Firesetone rarely sounded harsh or dry and – most critically – transients very rarely sounded overtly edgy; no mean feat given the upper-register aggression of “Black Steel”. David Bowie’s Hunky Dory remains a classic album. 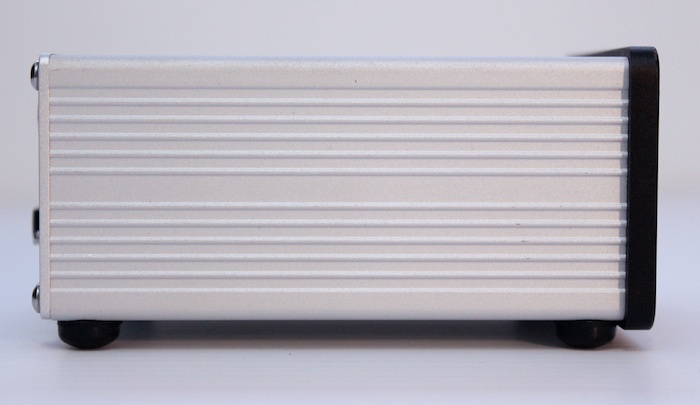 Even when moving over to an Audio Space EL34 integrated tube amplifier, the 1991 Ryko remaster still errs towards a thin sound. The Firestone makes no exception with its version of events. I’ve lost count of the times I’ve tried to mimic the studio-to-control-room conversation that precedes “Andy Warhol” (it’s Warhol, actually!). 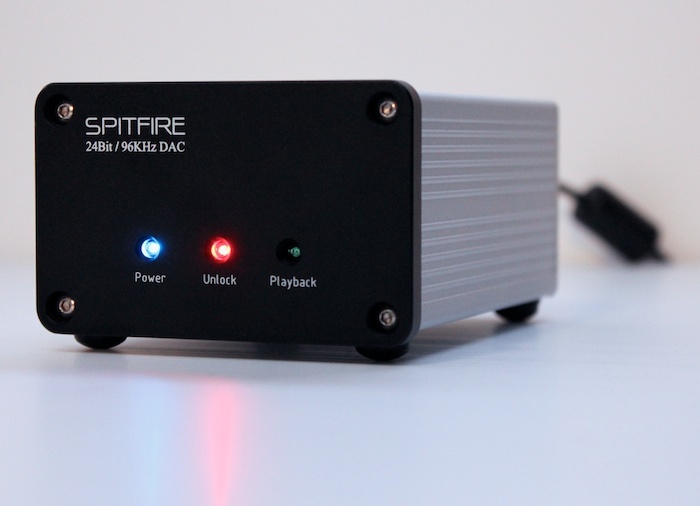 Listening to the song proper, I only noted a slight – and the slight comes with heavy emphasis – loss of detail retrieval when comparing the Firestone Spitfire to the Bel Canto DAC3. 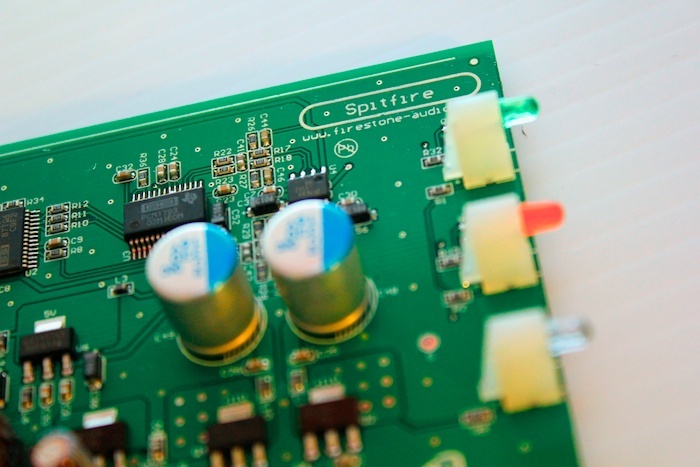 The leading-edge of Bowie’s forthright vocal remained central to the core of the Spitfire’s sonic presentation. 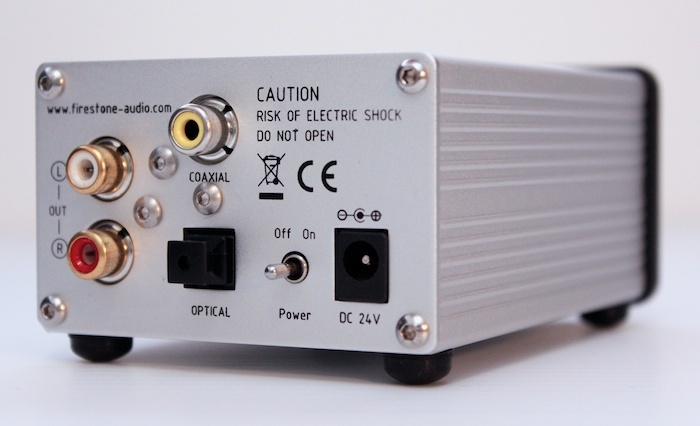 It’d be impolite not to applaud a AU$299 DAC that can get reasonably close to a AU$3000+ model. 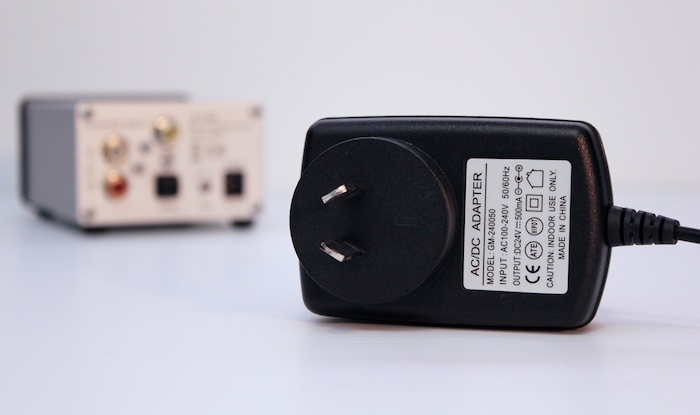 The deal-breaker for some might be the absence of USB connectivity. An unusual choice given the Spitfire’s aim to sit beside one’s computer on the desktop. 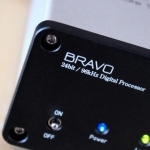 I made use of Firestone’s matching digital re-clocking unit – the Bravo (AU$299) – to bridge the USB to S/PDIF gap. 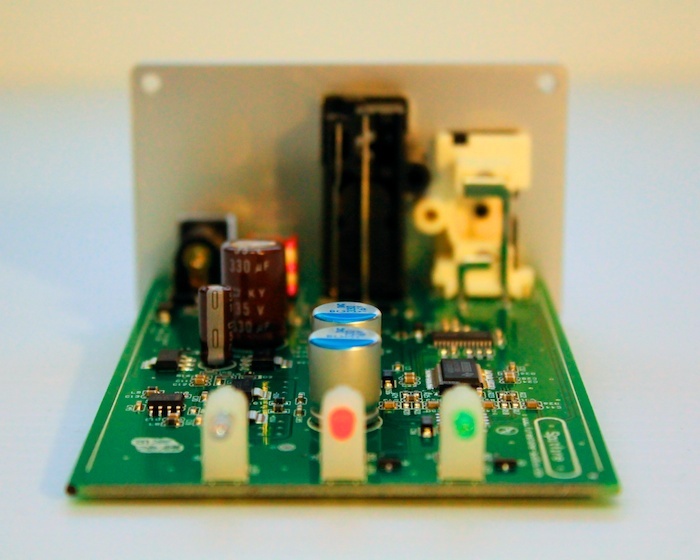 (A USB-free device is unlikely to trouble the Sonos/Squeezebox set). 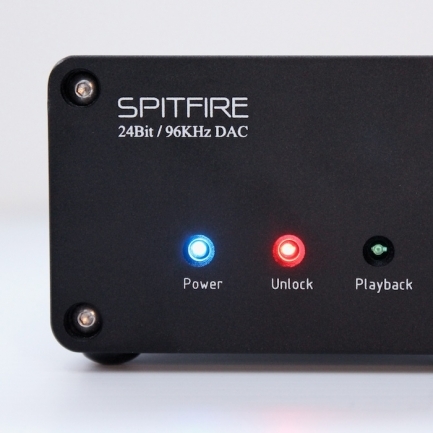 The Firestone Spitfire DAC would suit someone looking to make their first foray into the mind-boggling world of digital audio or for someone looking to possibly equal the sonic performance of the Cambridge Audio DacMagic for considerably less financial outlay. 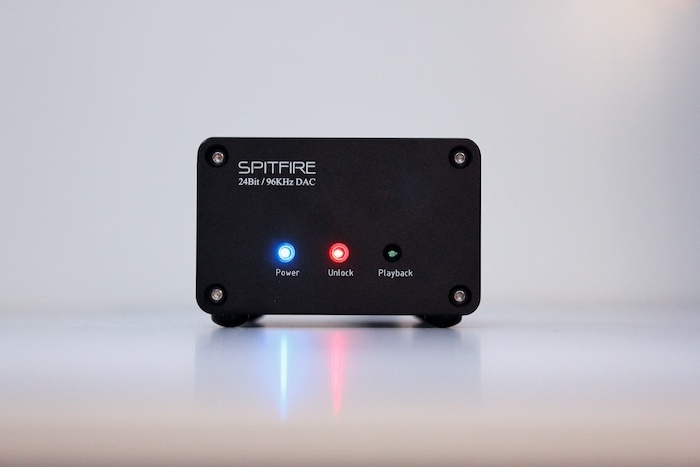 If you have no need for balanced outputs, USB input or digital filters (found on the DacMagic), the Spitfire makes perfect economic sense.